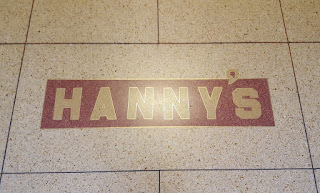 If you've lived in Phoenix anytime after the 1880s, you've seen the Hanny name. If you're a real old-timer, you may remember Christian Hanny, but you probably are more familiar with his son Vic, who started a clothing store in 1912. His original store was on Central Avenue, and the store that most people know about today (which is now a restaurant) was built in 1949, at 1st Street and Adams. 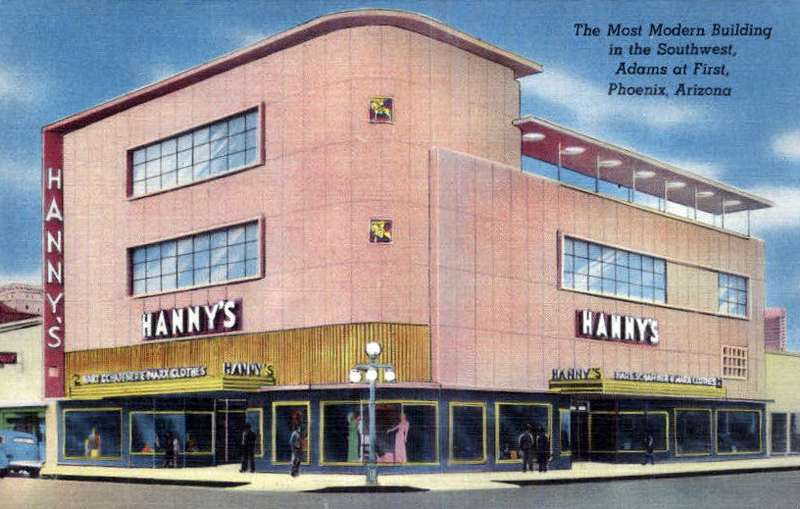 Hanny's Menswear in 1949, when the building was brand new, 1st Street and Adams, Phoenix, Arizona. Now Hanny's Restaurant. And yes, there are still members of the Hanny family around Phoenix. By the way, it's pronounced like Danny - Hanny. I had the pleasure of meeting some of those people recently (no, their last name isn't Hanny, it's been several generations along the maternal line) and taking a look at some of the interesting documents that have been preserved from all of the way back to the 1880s, just before the family moved to the brand new town of Phoenix. Anyway, if you live in Phoenix you know that much of its history gets erased. It's not a conspiracy, man, it's just that Phoenix has grown so quickly that it outgrows the tiny buildings that once were big enough, and new buildings get built. If you visit the restaurant that used to be the clothing store, it will probably amaze you that it was once considered a sizable business. Nowadays it's smaller than just one section of your local Walmart. I don't expect buildings to be preserved in Phoenix, I understand that the city is bigger than it was back in the day, so I'm delighted when I see a building "re-purposed", and it's even cooler to me to see the name retained. 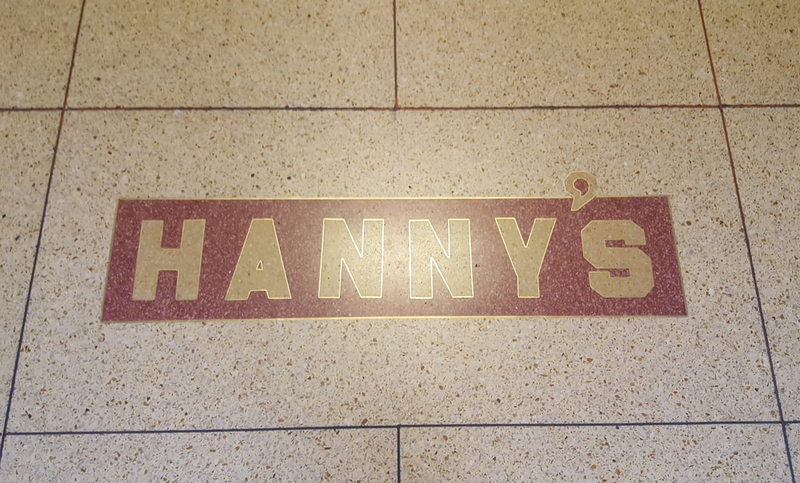 If you go to Hanny's, take a look down at the entrance when you walk in. It's a name that's just about as old as Phoenix, Arizona itself, and it's nice to see it preserved. Image at the top of this post: Photo of the entrance to Hanny's 1st Street and Adams, 2017.